These ratings are finalised using a whole range of performance data across recent seasons, team list changes (gains and losses), home and away advantage/records and a forecast simulation of all results for this coming seasons based on my own ratings to finalise and forecast likely final table positions. I have used this method for a number of seasons, last year this method had 6 of the final top 8 correct, 7 from 8 in 2015 and a similar result (6 to 7 correct) in years prior. Clearly the one thing we don’t know looking forward is the impact of key injury outs. These ratings are then reviewed and re rated each week based on current form, key ins or outs and ongoing changes. For 2017 I have a 26% rating gap between the top of table rated sides and the bottom of table Knights – the largest rating gap I have ever had. However, as has been the case through recent NRL seasons I have very little separating those in positions 5 to 10 (with only a spread of 1.5% or 2 wins across the season between these 7 sides – Sharks, Warriors, Broncos, Roosters, Titans, Bulldogs and Rabbits). If everything goes absolutely right for anyone of these sides at the bottom of this list then clearly they make the 8 (like the Titans last year) but it’s a top 8 not a top 11 and I have the line drawn under the Roosters. Longer term I am with the Melbourne Storm as the likely Premiership winner (currently $8.00) who once again tick so many boxes – outstanding win record at home, best defensive record last season (and most yrs defensively in the top 2 to 3 sides), experience (defeated grand finalists last year) and clearly the class and quality of Bellamy, Smith, Cronk, Bromwich and Slater if he comes up ok off his injury out. If I run my current forecast ratings through a simulation of every NRL game across the season I have them sitting top 2 into the finals, which then presents them with a week 1 home semi final (and should they then win that a home final) – a healthy position into a finals series. When looking to bet longer term I want to find prices that are now likely to be far higher than any time into the season and given how I expect the Storm’s season will start baring significant key injury I expect $8 should be the top of the market. Personally I have had and am recommending a 2 unit bet on the Storm at the $8 this week (FAQ – Why do you talk and bet in units? > answers here). Favourable draw, playing 13 games against last year’s bottom 8 and only 11 games (4th fewest) against a top 8 opponent and only on two occasions are any of those games in back to back weeks. One of those fortnights will be in Rounds 14 and 15 when they play Cronulla away and them the Cowboys without their Origin stars. They play all of their Top 4 counterparts twice along with the Broncos, while they have just one five day turn around, facing the Dragons on the road after the Anzac Day clash with the Warriors. As suggested above, have all the key ingredients of a top 4 if not top 2 side and for mine the team to beat this year, class proven coach; key experienced international quality players; significant home ground advantage and the best if not close to it defence most years – and now add to all of this a very favourable draw. They have list stability, purchase or breed quality, have one of the best coaching structures and “systems” (read succession planning) in place and rarely under perform. Add to this some hunger off a narrow Grand Final loss and a likely box seat position into the finals and I expect that within weeks of the season starting they’ll be somewhere around the benchmark and a key contender. I think $8.00 looks a very healthy long term position. Panthers play only 10 matches against last year’s Top 8 (2nd fewest behind Bulldogs) and only one of those is in the opening six Rounds. They play the Cowboys, Raiders and Bulldogs all twice. Penrith will play seven matches in eight games away from Pepper Stadium from Rounds 8 -17, with a home game at Bathurst in Round 14. Nathan Cleary is a rare talent and as he settled into his role and the top grade last year the Panthers fortunes turned, upward, and they rattled home through the final few months in quality winning form (including winning 4 of their last 6 games by 30 points or more). They are another with a favourable draw, have depth, strength in key positions and classy game breakers. Question marks? Getting their halves combination (with Cleary) right, and working, and youth and inexperience when it really matters in September. But they have talent to burn and depth. Certainly on the up with a bullet, a top 4 side if not top 2 contender. The Cowboys are another with a very tough draw, playing thirteen matches against the Top 8 of 2016, including playing their Top 4 counterparts all twice. They play sides from last year’s Final Series in four of the last five Rounds and six of seven matches during the Origin period, but will be without their Origin reps for just one game. Significant home advantage (again won 11 of 12 last yr), 3rd best attack, 2nd best defence in 2016 and get a soft start to the season with their first 6 games in Queensland – and season long only have 5 games in Sydney. Clearly the Cowboys have been a major contender (and Premiers) through recent seasons but they have an aging list, salary cap balance issues now and look like they might be one quality big forward short. They have some very promising youth coming through likely to make a further step up with their careers this season. With their best consistently available they are again a top 4 side, and they have the experience and confidence to make a mark on September. The Raiders surprised many last year and had their foot on the throat of the soon to be Premiers in Week 1 of the Finals only to bow out a fortnight later. Their draw is middle of the road but tougher than last year, playing the Top 8 twelve times (10 LY) and the Top 4 six times (4 LY), while they play all of last year’s Top 6 twice. They play only one match with a five day turn around (an away game in Round 4 against Brisbane) but don’t have any preps of nine days or more. They are on the road for five of six weeks through Rounds 9 to 14, with four of those against bottom 8 sides from 2016. Stuart’s rebuild has come along nicely through the last 18 months and they look ready to fire as a top 4 contender this season. They have size up front, depth, minimal change across their playing roster and importantly have attack! They finished last season winning 10 straight games and the best attack record with an average of 28 pts a game. Definitely look on the up, very hard to beat at home, with natural improvement and confidence look a top 4 contender. Sharks feature in only two Friday night games, but play all of their 2016 Top 4 counterparts twice along with Brisbane. The Sharks won twelve of thirteen matches at home in 2016 and will be looking forward to a six week stint from Rounds 11 to 16 through the Origin period where they don’t leave Shark Park. I rate Ennis a massive loss, his direction and experience at #9 was instrumental in their leap forward through recent seasons and culminating in their Premiership. Add to this an aging list especially with key forwards while competitive and a likely finals side I can’t place them as a major contender. Plenty of expectation on the Warriors again, who are yet to deliver anything of note since making the 2011 Grand Final. They play thirteen matches against the Top 8, with only the Knights playing more, while they play five of their opening six matches in New Zealand. They will however clock up plenty of frequent flyers through Rounds 13 to 20, with games in Sydney, Gold Coast, Perth and Townsville during that period. In the closing five Rounds they play four matches against a bottom 8 side from 2016. They play two matches off a five day preparation (that’s more than their previous three season combined), one into the Storm (Round 2) and on after (Round 9). The 3 key positives, and indeed big plus in rating them is new Coach, a fit Tuivasa-Sheck and the inclusion of Foran. The elephant in the room is that they have been pea hearts under any sort of expectation or pressure through recent seasons and for all of their obvious talent consistently fail to deliver. They finished last yr with the second worst defence (24 pts a game) including conceding 36 pts or more in each of their last 4 games. I have them in the 8, they could be top 6 or higher should they actually perform. But I’m not going to waste words on them based on expectation, let’s see them walk the walk. Brisbane has one of the toughest draws in the comp, playing thirteen matches against the Top 8 of 2016, with six of those played in the first seven Rounds. They play the Top 4 in the opening four Rounds and are the only side that has to play all of last year’s Top 4 on two occasions. No side has more short backups (6 days or less) than Brisbane, while they also play the fewest matches with a prep of seven days or more. While they will again be advantaged with multiple Thursday and Friday night games (allowing 6, 7 and 8 day turn arounds) the Broncos have a tough draw to contend with this season including being the only side that plays contenders Sharks, Cowboys, Storm and Raiders the maximum of eight times. Corey Parker is a massive loss in the middle and we are yet to see if they have the front row depth, rotation or bench balance. On paper this list looks a top 6 side, but I’m not convinced everything is 100% right and a significant slide and tough year would not surprise me. I think they still have a problem at #7, issues with their kicking game and what looks an attitude problem. For mine they start the year with a significant watch and caution on them. With Mitchel Pearce back from the get go and a likely capable partner in the halves in either Keary or Watson I expect the Roosters to have a very good year. In addition to their off field issues last yr they also suffered a horrific run with injuries. They have some talented youth coming through and potential game breakers in Connor Watson, Latrell Mitchell and Joseph Manu. They start the season with no game against a top four side from 2016 until round 12, get their chance to get their season off to a positive start and build, I expect they will. A top 8 side for mine. The big ticks for the Titans are in having Elgey back and Hayne a full off season perp, Ash Tayor looks a star in the making, Ryan James maturing into a quality rep player and Proctor a key purchase. To now take that next step up the Titans have to change two key things – leaking 22 points a game on the road and last season only winning 2 of their last 10 games vs top 8 sides. Coach Henry has done an excellent job in rebuilding this player list and the type of attacking footy they are prepared to play. They again look very competitive and one of the sides fighting for a spot in the bottom half of the 8. Bulldogs play just 9 games versus last year’s Top 8, the fewest of any side (Broncos & Panthers twice), while 8 of their 15 matches versing a bottom 8 side are against a bottom 4 team. They play 10 matches on Thur/Fri (5 each) and play just 5 games outside of Sydney all season long. Hasler’s long term record is way too good to pot but given all of the drama and key staff changes to the Bulldogs through the last 4 to 5 months it is hard to be too optimistic about what unfolds this season. They are gifted with a soft draw (incredibly soft draw), but they have stuttered and spluttered through their last two seasons offering much but rarely delivering. Handling (all) and their direction and execution from their 9, 7 and 6 has been their Achilles heel, yet they look to start the season with the same players and line up. At their best they can make the 8, but I can’t have they. I also expect ongoing off field drama to nag them through much of their season and that they part ways with their Coach. On the back of the obvious salary cap balance issues through recent seasons for mine they have become very reliant on a handful of key players, have lacked some performance/quality/depth up front and are in desperate need of some of their youth really breaking through (especially outside backs). Add to this a tough draw. The Rabbits normally start the season with a bang, a long term hallmark of Coach Maguire, but with a tough draw and questions over depth it’s a long tough year in the NRL. I have them competitive, if it all goes right then fighting it out for a bottom 8 spot, but I have them missing the top 8. The Eels are another with a tough draw and only Newcastle will face more Top 8 opponents than Parra, while they play just 3 matches against a bottom 4 side from 2016. They play the Broncos, Cowboys and Raiders twice, while five of their first six matches are played away from home. The Eels are the only side to play in all three Rounds leading into an Origin match. They play 14 matches at ANZ Stadium, including eleven of their last fourteen. I’m a big rap on the coach but lots of question marks here and I can’t have them in my top 8. Who plays, and do they aim up to the top level at 9, 6 and 1? Radradra is on the way out (outstanding try machine), poor Away record and they are now to play all home games at Homebush (where they have a poor long term record to now turn around). They will have a very big physical pack of forwards, but be very reliant on Cory Norman to lead the way week after week all season long. Competitive, another if it all went right could fight out a spot in the 8 but they have key questions to resolve and for mine are still a year away from semi finals. 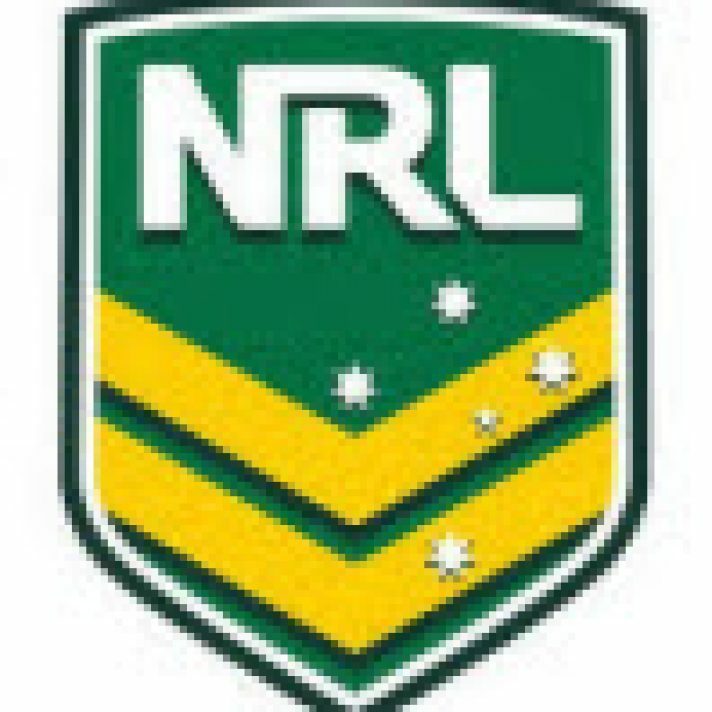 Losses: Jamie Lyon, Tim Moltzen, Tom Symonds, Siosia Vave, Liam Knight, Nathan Green, Blake Leary, Isaac John, Jayden Hodges, Josh Starling, Jamie Buhrer, Brayden Williame, Matt Parcell, Feleti Mateo, Luke Burgess, Brett Stewart, Steve Matai. Manly have been dealt a difficult draw, with twelve matches versus the Top 8, half of them against the Top 4, while four of those six are on the road. They play the Bulldogs, Panthers, Raiders and Storm all twice, while five of their last seven matches are away from home. Manly have just one five day preparation and will feature in only four Friday fixtures and no Thursday games. Have all the major NRL road trips (Melbourne, Townsville, Brisbane and Auckland) as well as a trip to Perth in July for a home game they have taken west against the Warriors. How can you have a player list turn over of some 40 players in 18 months and be top 8 bound? There top 8 or so players are quality, but they have many question marks and in my opinion thin depth around this, coupled with a tough draw and only 10 games at Brookvale (off only 3 wins at their home ground last year). They have been a high quality team for many seasons on the back of class and quality from the likes of Lyon, Foran, the two Stewart brothers and others – their absence now leaves massive holes and a major task of rebuild. I just can’t see how it all comes together and they compete week in week out all season long let alone be a top 8 contender – they are not! They finished 14th on performance last year (exclude the Eels competition points loss), I see them somewhere around the same mark again this year – in for a tough season and another club where I expect they part ways with their Coach sooner than later. The Dragons have a fair draw, with twelve games against the Top 8, playing the Sharks, Bulldogs, Panthers and Titans all twice. They are one of only two sides to play last year’s Grand Finalist’s in back to back weeks (Rounds 9 & 10), while their last 4 games of the season are against a Top 8 from 2016. They have three five day turnarounds, do not play a Thursday night match and feature in only four Friday night games. Have a much softer draw this year but look in need of divine intervention to be top 8 competitive. Questionable list management and over structured play books and patterns has strangled them out of contention through recent seasons, I can’t see that anything has changed and that Dragons fans are unfortunately in for more of the same. Vaughan and Macdonald look positive signings, they have a quality back row but this team lacks ball play, positive attack and points reliant on boring predicable decoy plays that went out of fashion years ago. This season almost looks like a re run of last year before it happens, and another club where I expect a new head Coach into 2018. Another with list and salary cap management issues that leads to thin and questionable depth. At the end of last season when everything was on the line for a semi final position they folded quicker than a 3 leg card table with a home loss 10-52. This new season looks very much the same, some weeks of promise, a few highlight wins but a tough long hard struggle. If you look at their list they have 4 players considered experienced top graders now missing (Farah, Addo-Carr, Sironen and now Simona) yet have only added the potential of Idris to a list that finished basement last year. So they either have numerous quality kids ready to step up or a pocket full of hope? With their very best 17 available each week they can compete, but the natural wear and tear of a tough NRL season rarely offers anything like this and recent seasons have been a roller coaster of inconsistency and some terrible defensive offerings and I expect more of the same and come September a bottom 4 result. Gains: Jamie Buhrer, Rory Kostjasyn, Ken Sio, Josh Starling, Jacob Gagan, Joe Wardle and Anthony Tupou. The weakest list and the toughest draw! I have never rated a team to start a new NRL season this low, nor with as big a gap between top of table and bottom. Nathan Brown faced a very similar challenge when successful head coach of Huddersfield a few years ago, rebuilding their list over a number of seasons from the ground up including a significant focus and investment in youth. Clearly he has already started this process but it’s a long slow process that requires patience. I hope they surprise but it’s hard to see how with questionable list quality and depth and what again looks a tough year ahead. Mr G can also be heard on Talkin Sport each week across the 2sm and Super Radio network talking with Graeme Huges and the boys providing his opinion on all things rugby league. If you like your NRL with some passion let alone having a betting interest on the game then you are at the right place! Published on February 23, 2017 in NRL. Published on 23rd April 2015. Published on 11th July 2013. Published on 9th April 2013.